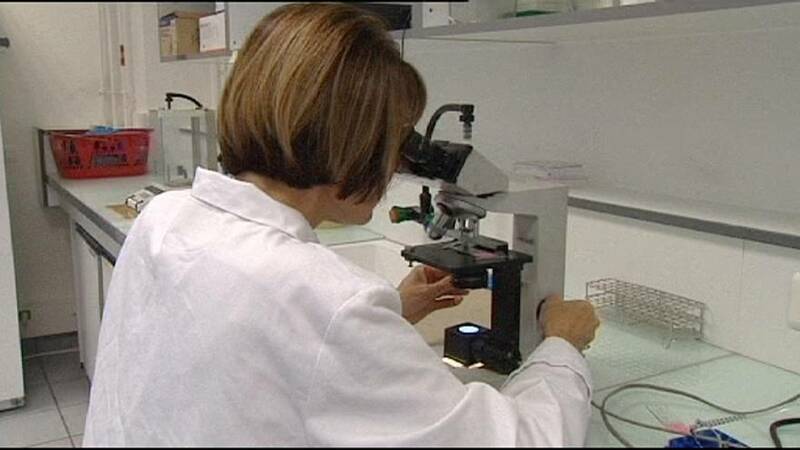 French researchers have revealed details of what they’re claiming is a breakthrough in infertility treatment. The scientists, in Lyon, have created in vitro sperm – human sperm outside the human body. So far it has been developed using a bio-reactor and immature cells, such as those found in prepubescent boys. The research has been carried out by a French start-up company, Kallistem, working with government laboratory CNRS. “We first tried it using animals, first a familiar animal, the rate, and obtained sperm,” explained Marie-Helene Perrard, CNRS researcher and co-founder of Kallistem. The main challenge has been reproducing in the lab a human process which usually last 72 days. It is hoped the development could eventually help thousands of infertile men. Cancer sufferers could also benefit in the future, according to the researchers. “For young people who have cancer, we will be able to keep their fertility. Because, until now, when a young boy has cancer, if he’s had chemotherapy, it will damage the production of sperm and he will be sterile,” said Perrard. More details have been revealed about the process after a patent was secured. There is still a long way to go before the findings are translated into medical use. The technology must now be clinically tested.